Thanks for your support! 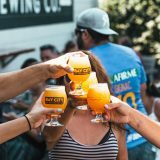 San Diego Brewers Guild just announced us as one of the top 5 craft brewery destinations during San Diego Beer Week via Lyft. 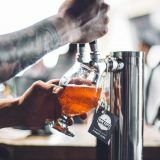 Like West Coast-style IPAs and nostalgic surf movies, San Diego craft beer lovers also enjoy being served up something else at their local taprooms and tasting festivals: an affordable, on-demand ride home. 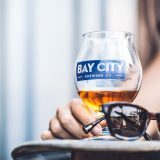 For the past three years, ridesharing service Lyft and San Diego Brewers Guild, a nonprofit organization supporting independent craft beer, have teamed up to promote safe drinking and smart rides for beer buffs.